Please note there has been a program change due to speaker schedule. The previously scheduled program has been moved to August 5. 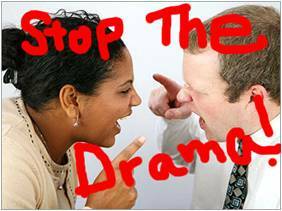 Conflict in the workplace is normal and natural. When resolved in a positive manner, innovation and growth can occur. When conflict is handled ineffectively or not at all, the impact on an organization can be crippling and costly. Reduction in productivity and morale are the obvious result, but the financial loss is more insidious. In 2008 CPP, Inc., an industry leader in research, training, and organizational development tools including the Myers-Briggs Type Indicator® (MBTI®) assessment, conducted a worldwide study on workplace conflict.The study revealed that on average, 2.8 hours were spent per week by employees dealing with conflict which resulted in approximately $359 Billion paid in wages ,in the US in 2008, due to conflict! Don’t miss this “Goldin” opportunity to learn more about conflict and mastering workplace relationships. Anita Goldin, SPHR, is the Director of Training and organizational Development for Planned Parenthood of Orange and San Bernardino Counties as well as the founder of e Goldin Leadership Group. Anita brings to these roles a wealth of knowledge and expertise in the areas of organizational development and coaching. With over 20 years of experience as an HR Director for such companies as Hilton and Hyatt, Anita understands the operational intricacies and communication challenges that face today's management teams. She is a graduate of Coach University and achieved her ACC Credential from the International Coach Federation. In addition has completed relationship coaching coursework through CRR Global and is a certified mediator through Orange County’s Dispute Resolution Center.